When Shannon Krieger is shopping for a razor, she goes right to the men’s aisle. “I don’t mind using men’s products if they’re going to do the same job that female products would do, so long as they get the job done,” Krieger said at a recent trip to Target. 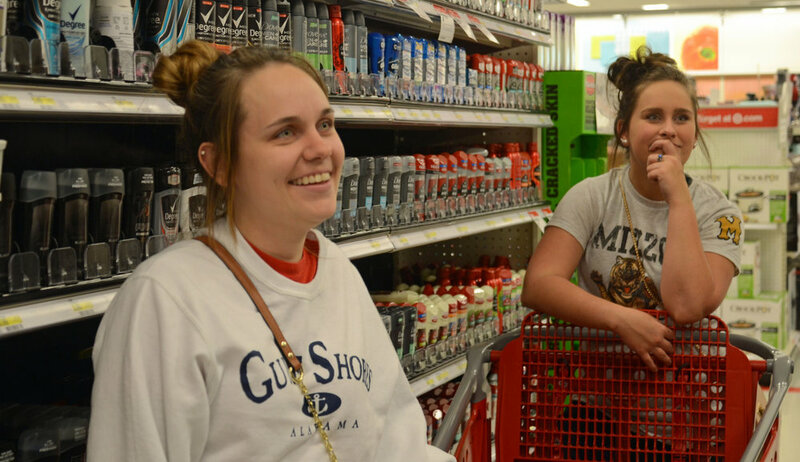 Some female shoppers have decided to buy men’s products because they’re simply cheaper. Products like razors, soap and deodorant can be more expensive for women. This idea is better known as the “pink tax,” a tongue-in-cheek term used to describe a difference in price for comparable men’s and women’s products. Learn how much women can end up paying over a lifetime in our infographic. According to a 2015 study by the New York City Department of Consumer Affairs, there is an additional cost to being a female consumer. The study analyzed prices of goods across five industries: toys and accessories, children's clothing, adult clothing, personal care products and senior home health care. The department found on average, women’s products cost 7 percent more than similar products for men. The study found, more often than not, there is a price differential between men’s and women’s items. In a few cases, men’s products can be more expensive. But more often, women are more likely to pay a higher price. In Columbia, some businesses do see a price differentiation. Most of the revenue at Kilgore’s Medical Pharmacy comes from pharmaceuticals sales, but some other merchandise sold reflects the pink tax. “Personal care items are just a convenience item for us, so we don’t spend a lot of time focusing on that pricing. Ours is pretty much passed on from our wholesaler,” Pharmacist Bill Morrissey said. We decided to show our audiences how the business supply chain can create two different prices for two similar items. Morrissey said Kilgore’s sets its prices according to what the market will bear. This means finding a balance between making a profit based on wholesale prices and having a price consumers are willing to pay. Wayne Keene, director of the Center for Sales and Customer Development at MU, said businesses can mark up prices from wholesalers as much as 100 percent or 200 percent to make a profit. Distribution channels like wholesalers act as a bridge for consumers and manufacturers and therefore play an important role in the final price of products like razors, Keene said. Prices at D&H Drugstore in Columbia are influenced by its distributor, Cardinal Health. Pharmacist Jessica Crane said D&H charges more for women’s razors because it costs more to buy them from the distributor. Cardinal Health has not responded to multiple requests for a comment about the cost of distributing men’s and women’s razors. Steven Horwitz, professor of economics at St. Lawrence University in New York, said because of these economic factors, a difference in price between men’s and women’s items is not solely indicative of gender discrimination. He said products that reflect the pink tax have become increasingly more expensive because they have become more specialized. Over time, the number of choices available for pink tax products has driven up the cost to consumers. Horwitz said the specialization of men’s and women’s deodorant means comparing them can be deceptive. “These products aren’t the same. Just because they’re both deodorant doesn’t mean they’re exactly the same product. Products are priced dependent upon the value people attach to them,” he said. Mike Sickels, a doctoral student of sociology at MU, said value can also be tied to gender roles. Women are expected to smell like feminine scents such as vanilla, cucumber or lavender and are willing to pay more for products that fulfill gender expectations. Recognition of the pink tax has become more widespread, leading to some large companies to explain to consumers the price differential. According to Consumer Reports magazine, Degree men's and women's products have the same percentage of the same active ingredient, but spokeswoman Gloria Delgadillo said, "they are completely different formulations." Experts like Horwitz attribute the price differentiation to underlying economic factors. Some female consumers have already made that choice. Danielle Park is one of them. “In the long run, it’s not worth it to keep buying the products marketed specifically towards women,” Park said.